ARRATE, Spain (VN) — Alberto Contador came out to play on Monday, attacking a half-dozen times en route to the finish of stage 3 at Alto de Arrate and proving that he will indeed be a contender for the overall at the 2012 Vuelta a España. 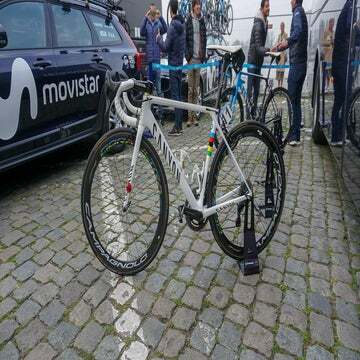 Alejandro Valverde (Movistar) won the mountainous 155km stage and took the leader’s red jersey from teammate Jonathan Castroviejo, but it was Contador who lit up the stage with a flurry of late attacks that quickly separated the contenders from the pretenders. The scraps of a daylong break featuring danger man Philippe Gilbert (BMC Racing Team) were swept up by the Team Sky-led bunch just as the race hit the lower slopes of the Alto de Arrate, a 5.5km ascent averaging 7.8 percent. Niki Terpstra (Omega Pharma-Quick Step) opened proceedings with a sharp attack, but it was El Pistolero who laid down the law on the final climb, attacking again and again until there were just four riders left to contend for the stage victory — Contador, Valverde, Joachim Rodriguez (Katusha) and Chris Froome (Sky). On the short downhill run to the line Valverde took a photo-finish win from Rodriquez — who appeared to sit up just a bit before the line — with Froome third and Contador fourth. Valverde praised the runner-up, saying Rodriguez could easily have won the stage. When the times were tallied, Valverde was the new race leader ahead of teammate Benat Intxausti Elorriaga with Rodriguez third. Valverde said he and Castroviejo were satisfied with their performance so far. “We are happy. We have kept the leadership — the person has changed but we have kept it in the team,” he said, before warning that there was a long way to go. Pim Ligthart (Team Vacansoleil-DCM) took the mountains jersey for best climber. 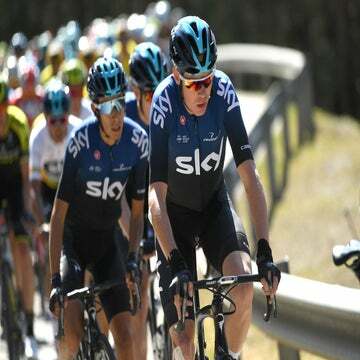 On Tuesday, the Vuelta’s riders face a spectacular 160km fourth stage from Barakaldo in the Basque Country to Valdezcaray in Rijoa, near a popular ski resort. Editor’s note: Stay tuned for more from the 2012 Vuelta a España.